How did these Jamaican footballers from this small Caribbean nation manage to produce a world class football team in four short years? What is so magical about this team. 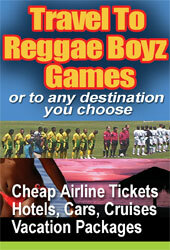 It's all here ....The Most comprehensive book on the Reggae Boyz to date...A must have for all soccer lovers. Long after the excitement have passed you will be able to relive the memories and excitement of the road to world cup. 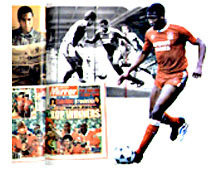 A complete and in-depth look at Jamaican football from the launching of the national program to a look at great Jamaican players....like England's John Barnes, the greatest footballer Jamaica ever produced and Lindy Delapena, Britain's first Jamaican Footballer. The dedication of a flamboyant football executive and the search for a Brazilian coach. RRead about the early rounds with local favorites Boyd, Withmore and Goodison and all the action of the final rounds with profiles of the players that made it happen.... game by game coverage and some dynamite photos that captures the intensity of the game.ead about the early rounds with local favorites Boyd, Withmore and Goodison and all the action of the final rounds with profiles of the players that made it happen.... game by game coverage and some dynamite photos that captures the intensity of the game. 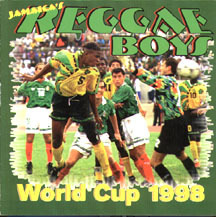 For more information on Jamaican Footballers and the international clubs that they are playing for. Members and visitors can support this site by booking all your travel on our comprehensive online travel engine where you can reserve cheap airline tickets, hotels, cars, vacation packages and cruises all in one place.